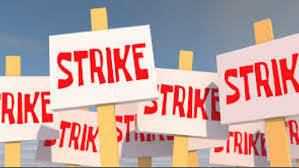 National President of the association, Dr. John Onyebueze, who announced the suspension in a statement in the early hours of Thursday, said doctors decided to suspend the strike after considering efforts made by government in addressing their demands. He therefore directed all doctors to go back to work with effect from 8.00am on Friday. The one paragraph statement reads: “After due consideration of the efforts by Government and progress made in addressing the items on the notice of our ultimatum, and strike, as well as implementing the contents of the re-negotiated MTS, NARD resolved to suspend her 10 days strike, and to reassess situation in two weeks at our AGM in Abuja. The doctors however failed to call off their strike in line with terms of settlement signed with the Federal Government. Days after the supposed meeting to call off the strike, the doctors continued to keep silent about the industrial action, fueling speculations that they may have rejected the terms of settlement. The strike was called to force government to meet doctors demands and pay their salary short fall. Medical services in government hospitals had been disrupted nationwide with patients not attended to.